High On The Highway: Scientists Try To Build A Marijuana Breath Test : Shots - Health News Now that recreational use of marijuana is legal in four states, law enforcement officials are looking for quicker ways to test drivers for excessive pot use. Entrepreneurs are taking on the challenge. This second-generation prototype of a marijuana field tester being developed at Washington State University is larger than the planned final product. 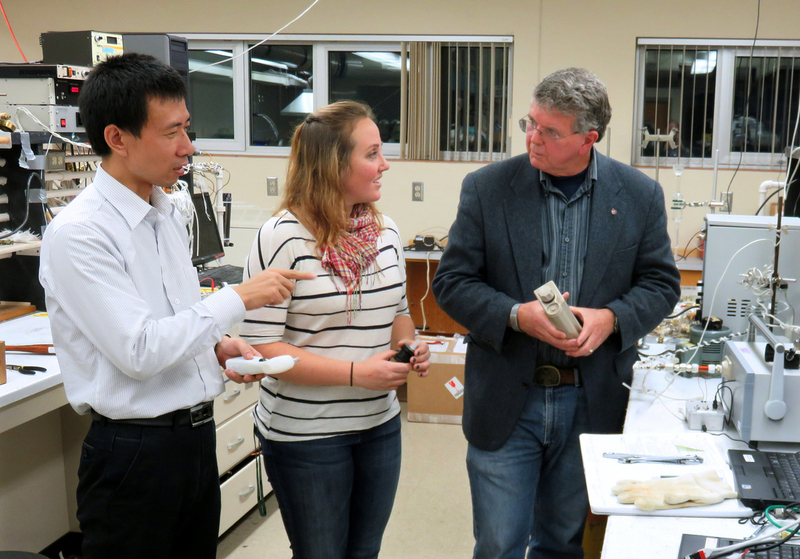 Research professor Wenjie Liu works with graduate student Jennifer Tufariello and professor Herb Hill to develop a marijuana breath test at Washington State University. 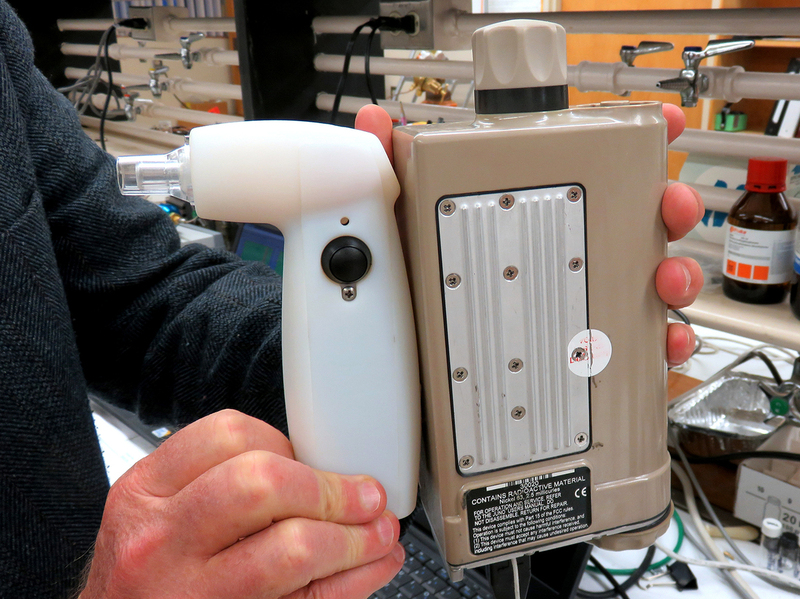 The Chemring-WSU team is by no means alone in trying to perfect a marijuana breath test. 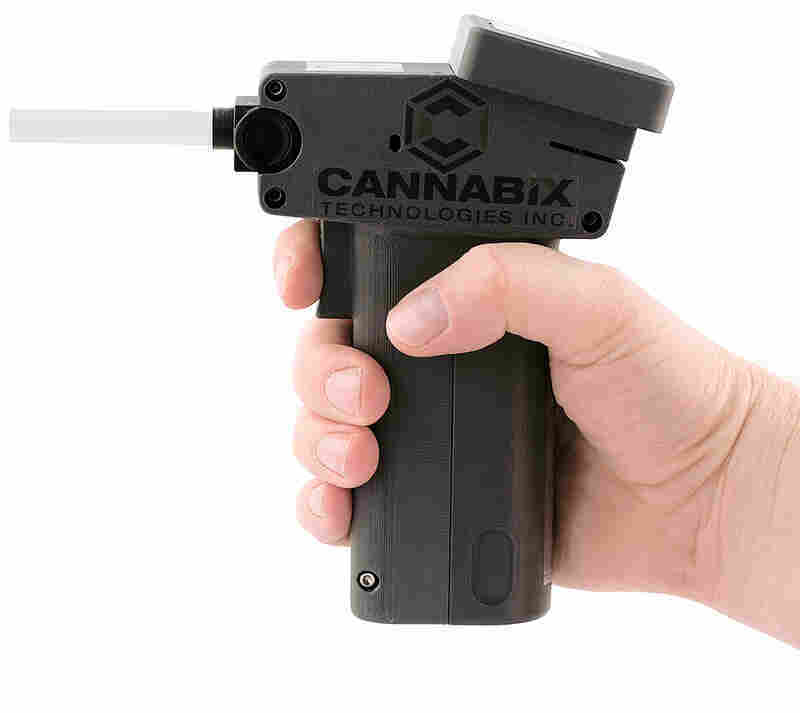 Competitors include Lifeloc Technologies of Colorado, which already makes alcohol testers, and Cannabix Technologies Inc. of Vancouver, British Columbia, has shown off an initial prototype at conferences. There are reportedly several research teams at work in Europe as well.